Arguably the star of the show, Microsoft unveiled the Surface Book laptop and it is simply gorgeous. The Surface Book is Microsoft’s very first laptop, so to say. Though it is surprising since the Surface Pro was pegged as the laptop killer. But once you’ve had a glimpse of the Surface Book all is forgiven. This 3.34 pound Windows 10 laptop features a 13.5-inch display with a ridiculously high 3,000 x 2,000 pixel resolution and 267 ppi optically bonded to the screen. So it goes without saying that videos and images are as crisp as it’s going to get. It’s Microsoft’s first laptop but it’s more than just a laptop. Consider it a laptop-tablet hybrid if you will. The screen is fully removable so that it can be used as a tablet. You can also pop the screen back on and flip it around and have the keyboard as a stand. It is a silver metal laptop but looks different than the MacBook, but challenges the MacBook in every way. 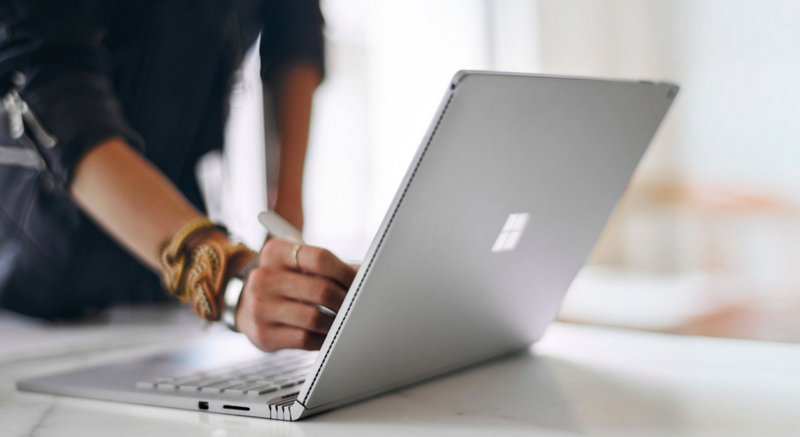 One of the highlights in the design is the Surface Book’s hinge, which Microsoft calls a “dynamic fulcrum.” From the side it appears it can flex and bend, and leaves a little gap when the laptop is closed, but also elevates the display at an angle. More on the look of things, the Surface Book has a backlit keyboard and keys with 1.6mm of travel, which Microsoft is particularly proud of. It’s calling it “perfect” saying that it’ll type almost silently. And to top it off, the laptop comes with a large glass trackpad with five points of touch sensitivity. The Surface Pen stylus attaches magnetically to the side of the laptop as well as the Surface Pro 4. Let’s talk about the interiors now. The laptop has the latest Intel Core i5 and i7 processors and Nvidia GeForce GPU with GDDR5 memory. The dock includes two USB 3.0 ports and an SD card slot. Here’s the cherry on the cake – the machine will give you 12 hours of battery life on a single charge. Are you listening, Apple? Microsoft claims this is “the fast is the fastest 13-inch laptop ever made anywhere on any planet.” And the company also added that it will be twice as fast as the MacBook Pro. We can’t stress it enough, but the Surface Book is a beauty of a machine and the company seems to have nailed every aspect of it. The laptop will go on sale October 26th and is expected to have a steep price tag starting at $1,499. Follow this space as we’ll be looking at other devices Microsoft unveiled yesterday. 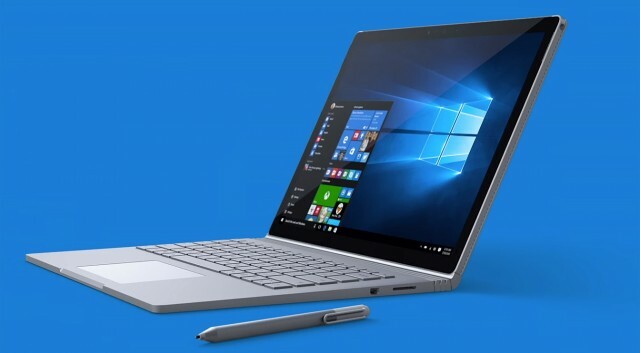 Till then, check out the video of the Surface Book below in all its glory.